August 26, 2015 – A top federal agency recently awarded Fort Valley State University a major grant that will enable faculty and students to conduct cutting-edge research on target detection using machine learning systems. FVSU’s Department of Mathematics and Computer Science recently received the $538,148 grant from the U.S. Department of Defense in the research division of computing science. The 36-month grant period began in August and ends in 2018. 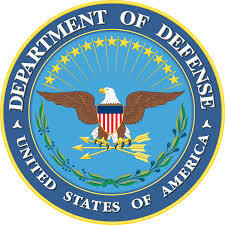 This is the second major grant the Department of Defense has awarded to the university. The first was a $1.5 million grant given to support FVSU’s Cooperative Developmental Energy Program. Dr. Xiangyan Zeng, an FVSU professor of computer science, is the principal investigator for the grant. Zeng, who earned her Ph.D. from the University of the Ryukyus in 2004 in pattern recognition and image processing, said she is seeking three students to help with the research project. Each one will receive an $8,000 stipend annually, funded by the grant. Dr. Zeng says the goal of the grant-funded project is to develop new algorithms for target detection systems. The new algorithms will help these systems better identify specific targets in hyperspectral images. “Hyperspectral imaging is used to collect and process data from hyperspectral sensors that can be airborne or installed on remote sensing satellites,” Zeng said. “There are dozens or hundreds of narrow spectral bands in each pixel. Using a wealth of spectral data, people can detect specific targets or materials in an area on the ground. We’re trying to develop algorithm that can automate this detection task. To accomplish this task, she and her research team will use techniques that include feature extraction methods of principal component analysis (PCA) and independent component analysis (ICA), and classification methods of sparse representation. For details, contact Zeng at (478) 825-6528.